Home Ink Cartridge News Happy New Tax Year! Happy New Tax Year everyone! Today marks the start of the new tax season. Along with that comes changes to categories like the Personal allowance, Income tax, National insurance and a few others. Here are some of the changes coming to some of the taxes. The amount you can earn without paying income taxes has risen from £11,500 to £11,850, which works out as a tax cut of £70 for most people. Will be charged 12% of income on earnings above £8,424, up from £8,164 until you earning more than £46,350, after which the rate drops to 2%. Nevertheless, do not fret! 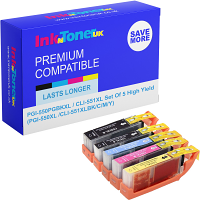 At Ink N toner UK, we will not be making any changes to our prices for the new tax year so you won’t need to worry about through the roof we pride ourselves on keeping our prices as low as possible so you can get great value for money!